Would you be interested in leading or co-leading one of our kids work summer sessions in July and August? During the summer we have a mixed age group meeting in the Church Centre and we need a leader and helper to run each session. The dates we are looking for are 23rd July, 6th August and 27th August. If you would be interested and could help out, please get in touch with James (james.ellin@bhcgodalming.org). Thanks! On Thursday 6th July, Pam Cookney and fellow mosaics enthusiast, Sandy Hannington, will give us a short introduction to the fascinating art of making mosaics. They’ll show samples of mosaics they have created and explain the processes involved. We’ll then have a go ourselves, which should be fun! Come along and maybe get inspired to start making your own mosaics. We’ll meet at 8.00pm in the Busbridge Church Centre, and there’ll be drinks and nibbles and time for a chat before the talk / demonstration starts. All are very welcome! We are urging people to keep an eye on their older neighbours and friends to make sure they are happy, healthy and have everything they need during the heatwave. Extreme temperatures can be particularly dangerous for older people, and sustained hot weather like the heatwave we have experienced recently can trigger health problems unless care is taken to keep cool. At the risk of upsetting everyone by mentioning the “C” word (Christmas!) we’d like to invite new members to join the Jingle & Mingle craft event team. This lovely event for women has become increasingly popular and we hope to have at least 150 ladies come along to the next one on 29th November at Clock Barn Hall (put it in your diaries). Do you enjoy doing crafts? You don’t need to be an expert - guidance can be given - what’s just as important is being a friendly and welcoming person! We need at least 10 ladies to be part of the team - Alex isn’t available this year so if sewing’s your thing then that would be fabulous too. We can’t run these events without the team behind it so if you’d like to be part of this exciting ministry for women contact karen.kinder@bhcgodalming.org. Thanks! Weekday mornings for 8-9 weeks with some flexibility. Guildford office based. Must be reliable, PC literate and customer friendly. If interested, speak to Mark Williams (mark@yewhouse.net). Simon is looking for 3 people to help the Old Rectory team over the next couple of months. 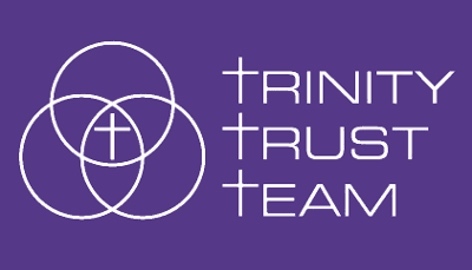 Roles needed: someone with organisation and admin ability to help organise the Action Teams for doing various things and 2 people to help us approach the church for the final crucial (and not insignificant) challenge of completing the finances for Old Rectory; this is about planning, communication by explaining what is needed, priority decisions to make and why they matter. Please see Simon to volunteer your time and join the Old Rectory team. All are invited to a short presentation and open mic for questions about opening the main area of the church up. Two dates: 25th June at 11.45am or 9th July, 9.45am. Applications invited for a successor to Busbridge's Verger retiring in October. Details from Keith Harper (keith.harper@bhcgodalming.org or Frances Shaw (frances.shaw@bhcgodalming.org). Godalming Community Gospel Choir invite you to join them for a sizzling summer's evening of gospel music at their Summer Showcase at 7pm on Saturday 15th July at St Peter and St Paul's Church, Godalming. The GCGC Summer Showcase will feature a brand new repertoire and our fabulous guest choir director, Solomon Facey. Entry is free and refreshments will be served. There will be an opportunity to give a donation after the concert. PLUS GCGC were part of a Songs of Praise recording last Wednesday, clips of which will be shown on shows from 9th July onwards.